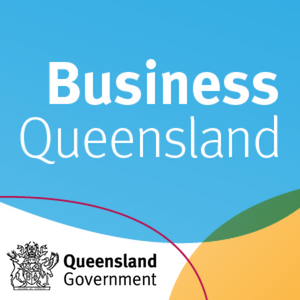 Earlier this year, Queensland based bank, lender and insurer Suncorp surveyed 500 Australian Small to Medium Sized Enterprises and their owners to assess how healthy the small business environment really is for business owners. Considering that there are over 2.1 million small businesses registered across the country, this is one of the most significant business activity segments. The findings were interesting, proving that most small business owners began working for themselves for the lifestyle factors, either to “make more money” or “be their own boss”, but the findings also highlighted that the overall health of small businesses isn’t fantastic. Of particular concern was that one third of small business owners operating for more than three years, had recently used personal finance to manage their cash flow. Cash flow management is something that friends of Langano Business Strategists’ Managing Director, Joe Barnewall, will know well. But unless you have an annoying, experienced business mentor or strategist reminding you about staying on top of it, it seems to be an out-of-practice concept across Australian small businesses when it really should be front of mind for every business owner. So, if the title of this article resonated with you, on any level, you should really keep reading and learn the basics of understanding managing your cash flow. Your cash flow is how cash moves in and out of your business so that revenue and expenses are aligned. Good cash flow management is when you always have money for paying your expenses when they are due. When does a cash flow become a burden? A surprisingly large number of businesses pay expenses based on when they get paid next – that is, they cannot pay their expenses and are reliant on their next invoice being paid or product purchase to get enough income into the business to pay what they owe. This is when small business owners have no choice but to use their personal finance to cover the business finances and dip into their own pockets. This is the first and most important of them all. Avoid unexpected tax bills and penalty interest rates for not paying them, by making provisions throughout each year. When an invoice gets paid or a product is purchased, transfer the GST portion of the money to a cash management account or GST account. Let this accrue over the year and by the time you need to submit your Business Activity Statement (BAS), you’ll have the cash to cover whatever you owe and more. Sit down each month and forecast your expected revenue for the next quarter and your expected expenses. If you know insurance is due one month, mark it in a calendar. If you know rent comes out each week, mark it in the calendar. By having projections about when income is landing inside the business accounts and when cash is leaving the business accounts, you can better plan, prepare and time payments to manage your cash flow. Profit and Loss statements and the balance sheet are great, but there is another report you should be reviewing each month. Your Free Cash Flow. This is the money remaining after all business operating expenses and it shows you how much cash you have to essentially play with by either taking the cash out for yourself as a dividend, using it to pay down debt or invest it back into the business. By knowing what this figure is, you know what your safety net is, so when you combine this with your quarterly forecast and projections, you have a very clear view of the financial demands and sustainable capacity of the business. So be smart, if you’re beginning a business then do it from the start. If you’re a few years down the track but need some extra support, it’s what the Langano Business Strategists team are here for. We have plenty of templates and management tools we use with clients to help them better manage their cash flow and use their free cash flow wisely, so get in touch with us today if you’d like to discuss how we can help you!